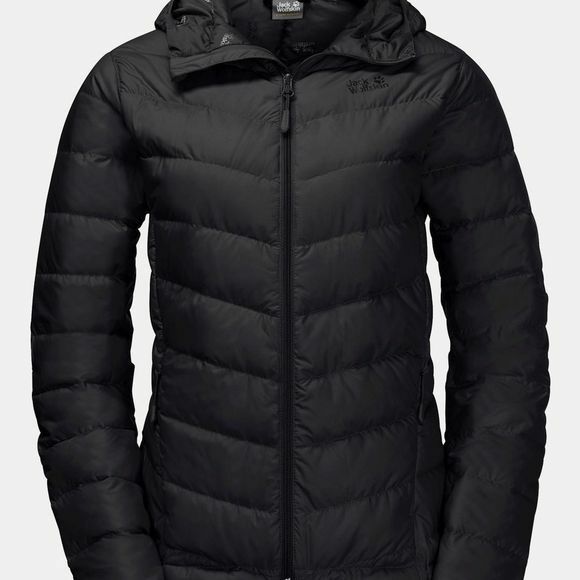 The Womens Helium Jacket from Jack Wolfskin is a classic, no-frills, multi-purpose down jacket. It can be worn as a warm wind shell, an insulating mid layer or carried as a backup jacket for rest breaks. It is very light, super warm and packs down small. The windproof outer fabric blocks out the wind, thereby increasing the insulation performance. The jacket comes with a practical pack bag so you can stash it in your pack for when you need a bit of extra warmth.